The New York Review Children's Collection is the amazing publisher that brings long forgotten books back to life. They also have a children's book club where books arrive in mail all the year round just like the old days. Today's Great Holiday Give is one of my favorite in their latest picks, Loretta Mason Potts by Mary Chase. "The poignancy of Peter Pan lingers over this fantasy, but it has its own special charm, the charm of unabashed fancy and resounding good sense, which made the author’s Harvey a favorite of adult audiences." Sooooo without further yadda yadda yadda, I will be giving away one copy of this book of magical worlds. To be entered to win a copy, simply comment on this post by 11:59 PM CT Wednesday, January 7. The winner will be announced the next day. The Great Holiday Give will run through Wenesday so be sure and check back each day to find out about a new vintage reprint and enter to win a different book. Good luck! This book looks gorgeous! Excited about the contest and hope I'll have a chance to read this book to my daughter. 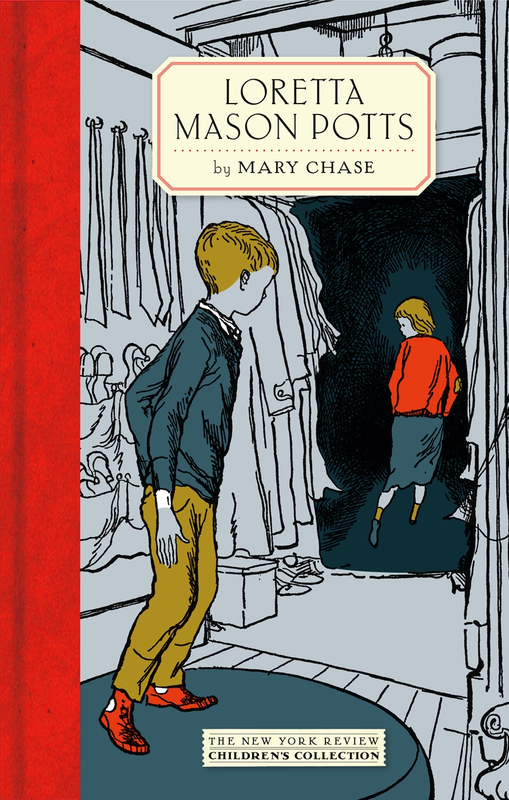 Oh, Harvey by Mary Chase is one of my favorite plays! I even played Myrtle Mae once. I've never read her children's books, though. Ooh, I've been eyeing this book. Looks excellent! Another book that's new to me. So glad to have you and your recommendations back this week! I went to the site and looked inside the book to read a little of it. It's fascinating! I would love to win Loretta Mason Potts! Wow what a gorgeous book!! Would be absolutely over the moon to win a copy! What a fantastic competition! This book literally fell off the shelf into my lap as a kid. I read and loved it then. I'd love to win a copy now.